Can Jury Nullification End The War On Drugs? District Judge Dusty Deschamps took a quick poll as to who might agree. Of the 27 potential jurors before him, maybe five raised their hands. A couple of others had already been excused because of their philosophical objections. “I thought, ‘Geez, I don’t know if we can seat a jury,’ ” said Deschamps, who called a recess. And he didn’t. During the recess, Paul and defense attorney Martin Elison worked out a plea agreement. If more potential jurors start turning down nonviolent drug cases, our drug laws will change. More on the subject here. And see this story about New Jersey's shameful behavior with regard to medical marijuana. 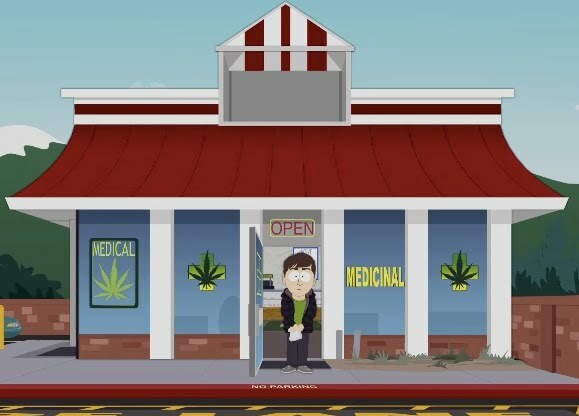 LODI – Lodi City Council members have asked the city attorney to write an ordinance banning medical marijuana dispensaries or cooperatives within city limits. The council met Tuesday morning to hear a report by Deputy City Attorney Janice Magdich on current laws and pending cases related to medical marijuana and directed her to bring back on Feb. 16 an ordinance banning dispensaries. If approved, Lodi would join Tracy and Modesto as cities that have banned all sales of medical marijuana. 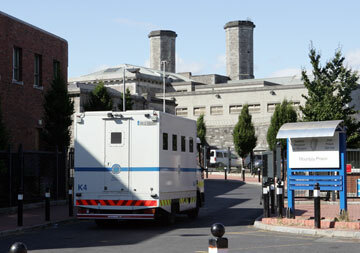 A prison officer was recently arrested on suspicion of drugs smuggling into the Mountjoy Prison in Dublin. The prison officer was stopped and searched at the gates of the prison and was found to be carrying cannabis, cocaine, prescription drugs and even heroine. He is being detained at Mountjoy Garda station under Section 4 of the Criminal Justice Act. He can be held for up to 24 hours. The Irish Prison Service said it was standard procedure for all prison staff to be searched on the way into the state’s prisons. “The Irish Prison Service is determined to clamp down on all avenues of drug trafficking into the prison,” a spokesman said. The Prison Officers Association has not yet commented on the situation at hand but they did mention that any of its members involved with drug trafficking would not receive any help from the association. “The actions of the few can bring disgrace and embarrassment to all of the hard working prison officers around the country, who would have no tolerance of or take part in any form of illegal activity,” a spokesman said. The Prison Officers Association said the drugs issue in prisons was extremely serious and a solution to tackle the problem must be top priority for all prison officials. Drugs were found after a dramatic police raid on a home in White City. Acting on intelligence, officers swooped on the small semi-detached house in Broadway shortly after 7pm on Friday. The quiet mood of the secluded street was shattered as police forced entry to the house with battering rams. Neighbours stood on their doorsteps and peered from their windows as officers shouted "police" before running into the house. PC Simon Crump explained the raid had been based on intelligence. He said “We've had 94 bits of intelligence on this.”Our intelligence suggests someone in there is dealing mainly crack cocaine." PC Crump said intelligence came from various different sources, which had not been revealed to the officers working the case. After checks to find out if the home was occupied, more than five cars and vans full of officers swooped on the quiet street after waiting until the right moment. The door was broken down and police stormed the house, followed by their trusty sniffer dogs. 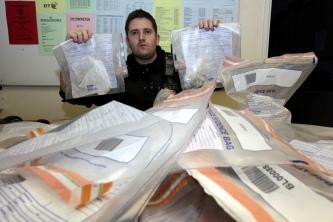 PC Crump said: "We've found some wraps of cannabis, which were surrendered as we expected. "We are now going to carry out a more full and detailed search of the property." Neighbours looked on as handlers brought one dog out to search a car parked outside. In total 30 wraps of cannabis were found in the house, along with £500 in cash. Three people were arrested in connection with the raid and have been bailed to return to the police station. The news comes after a teenager was arrested on suspicion of possessing drugs after a raid in Stonehouse. So I just got my new Enjoy Jar last week and was heading out on vacation so I thought it would be the perfect time to give this puppy a shot. This is absolutely a great product for the on the go smoker. If you are looking for a storage device that can keep your buds fresh and odorless while packed away then you have found your new toy! I was pleasantly surprised with how much bud this storage device could carry while keeping the odor completely hidden. I really packed this thing full to give it a complete test and see how useful it really is. Packed full with my buds, lighter, some other misc tools and a nice amount of hash, I still had room for more... 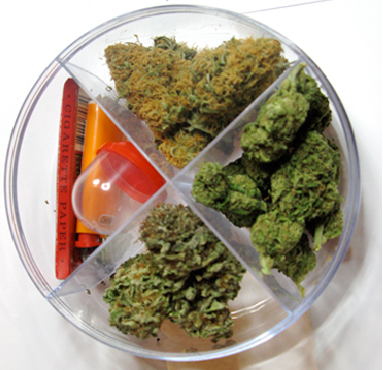 It was really convenient to have all my buds and accessories together in one container that is so easy to transport and not worry about. It takes away from having to carry around multiple jars or bags when you are trying to bring along more than a couple of grams for your much needed toking sessions. All in all I'm very happy with my Enjoy Jar and I plan to use it anytime I'm on the go, it's extremely useful and the price is pretty damn good. If anyone is looking to buy one of their own which I'd highly suggest you try out, you can find them at www.EnjoyJars.com . I would rate this product at 4.5 out of 5. FAIRBANKS, Alaska — The U.S. Army Alaska says it has punished 36 soldiers for the use of synthetic marijuana since it banned the substance. Seven soldiers were tried at courts-martial, and 29 received nonjudicial punishments, the Fairbanks Daily News-Miner reported. 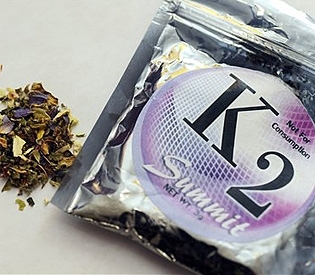 Synthetic marijuana is known as Spice or K2. It’s a blend of spices and herbs sprayed with a compound similar to the psychoactive ingredient in marijuana. It’s commonly sold in head shops. Some users think the substance can’t be detected in drugs tests. But the Army says its urine tests can now find the chemicals used in Spice. In March, a Fort Richardson soldier just back from Iraq was convicted of driving under the influence of Spice. He was arrested after driving over three raised medians, into a concrete wall and down a sidewalk with flat tires and a broken axle. The U.S. Army Alaska banned Spice in August. It had seen an increase in users with high blood pressure and heart rates admitted to hospitals at Fort Wainwright and Fort Richardson. The soldiers have had life-threatening reactions in some cases, the commander of U.S. Army Alaska, Brig. Gen. Raymond Palumbo, wrote in a commentary published in the Fort Wainwright and Fort Richardson newspapers. "We have no idea what the long-term effects are since the chemicals vary and have not been fully tested," Palumbo wrote. "But we do know that in the short term, bad things happen when people use Spice." In October, Alaska legislators introduced a bill to outlaw Spice after state troopers arrested a Fairbanks man who used the substance, broke into a house, stripped naked and slept in the homeowners’ bed. He told troopers God had told him to do so. 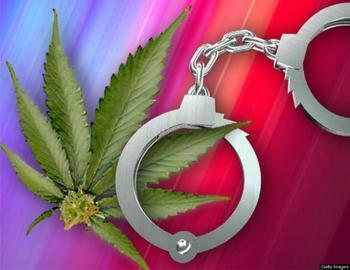 The U.S. Drug Enforcement Agency has started a process to outlaw five chemicals commonly used in synthetic marijuana.